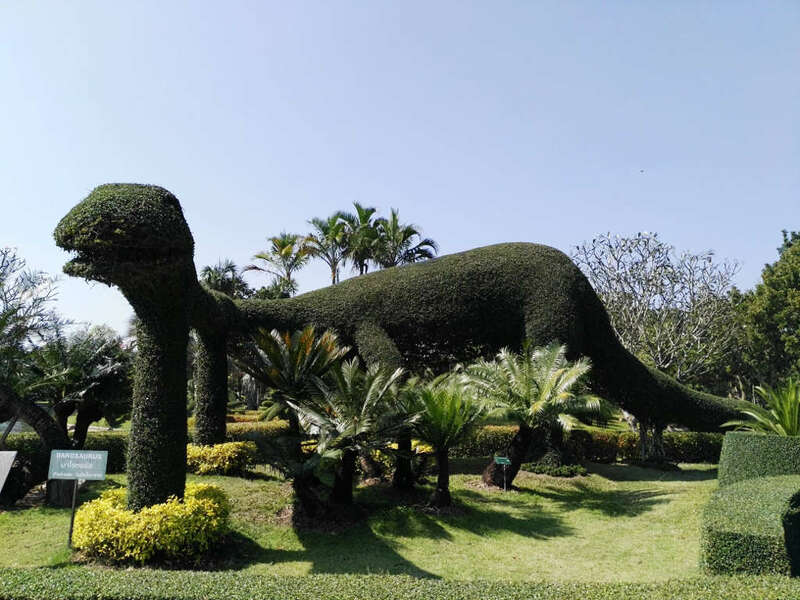 Chiang Mai Travel Guide and Tourist Information – Chiang Mai City also know as the ” Rose of the North” is located 700 km north west of Bangkok in the mountainous Chiang Mai province of Northern Thailand. The Old walled City Centre is surrounded by growing urban development. 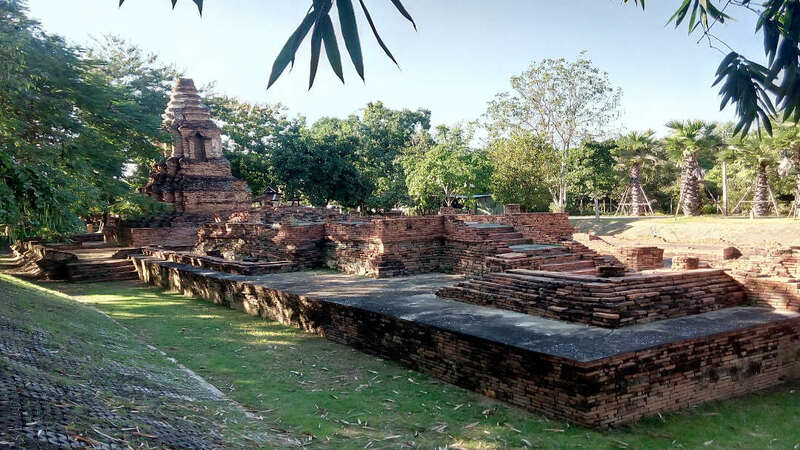 Chiang Mai is managing to combine its historical identity as an ancient Lanna Kingdom and Buddhist cultural with a modern vibrancy that has seen trendy bars, restaurants and boutique shops spring up all over the city. Overlooking the city from the west is Doi Suthep mountain (1676 m). The city itself is about 300 metres above sea level and can be cool during the Winter month. Chiang Mai is a centre for education in Thailand with 10 universities in the area. It is also a cultural and religious hub, the old town alone has 121 temples which are open to the public. Many people spend just a few days in the city, so a selection is required. 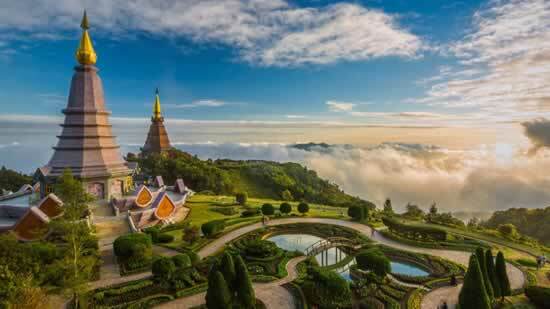 Some of the most popular and impressive temples are Wat Phra Singh, Wat Phra That Doi Kham, Wat Chiang Man, Wat Chedi Luang, Wat Suan Dok, Wat Phra Tat Doi Suthep and Wat Pha Lat. Chiang Mai is also the gateway to local hill tribe villages of Karen, Hmong, Shan, Meo, Akha and Long Neck Karen ethnicities. The people of Chiang Mai are proud of their city and its history as a separate Kingdom before Siam was unified. 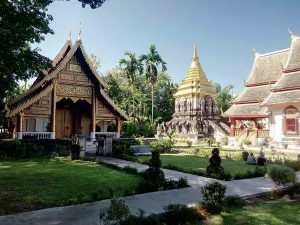 Visitors who have already been to Bangkok and the southern beach islands of Thailand will notice a difference in Chiang Mai. The softer, more spiritual atmosphere remains. The beautiful Lanna architecture can be seen in both old and new buildings. 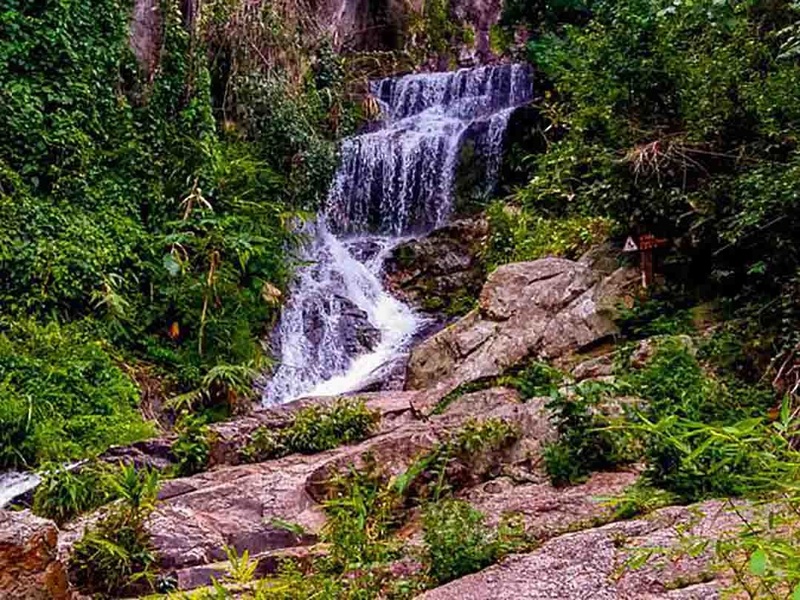 You don’t have to venture far from the city before you are really into the jungle away from civilization. Chiang Mai is also noticeably cheaper than the beach resorts. Chiang Mai is a useful staging post for trips further north to Chiang Rai or onto Laos, Burma and Cambodia. 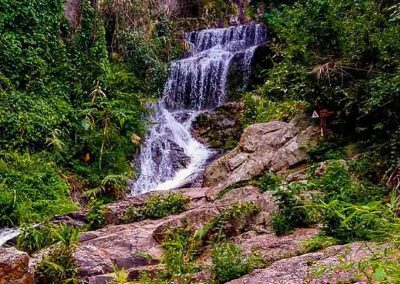 Since backpackers first discovered the area tourists have been visiting Chiang Mai to organize their treks into the surrounding mountains and this is still a popular activity in the area. 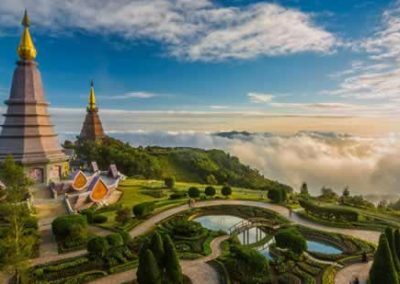 However there is much more to do in Chiang Mai for the adventurous traveler such as mountain biking, rock climbing or do a zipline canopy tour. 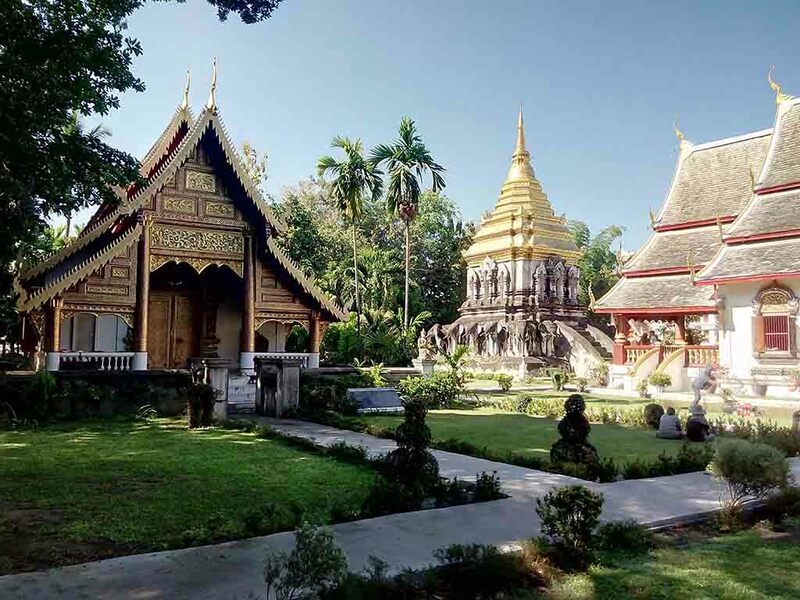 Chiang Mai is also a great city to spend a few days doing nothing more than just relaxing and soaking up the atmosphere. The old city can be explored on foot. The night bazaar and weekend walking street markets and hugely popular and the many restaurants that specialize in Northern Thai food are not to be missed. For the spiritually minded traveler it is possible to visit a meditation retreat, learn traditional Thai massage or just visit one of the temples to chat with a monk. From Chiang Mai International Airport is just a 10 minute drive outside the city. There are direct flights from Kuala Lumpur, Singapore, Yangon, Taipei and Luang Prabang among others. The majority of arrivals though come on a one hour domestic flight from Bangkok with either, Thai Airways, Nok Air, Bangkok Air or Air Asia. Air Asia also has direct flights from Phuket Island (about 2 hours). Buses from Bangkok take about 9 hours. There are day and overnight services with government run coaches and privately operated minibuses. The VIP public buses that depart from the northern Bangkok bus terminal tend to be the most comfortable and reliable. There is also a direct train link from Bangkok which can also be done in the day or on an overnight sleeper. The journey takes 12 hours and advance booking is essential. Much of the city can be explored on foot but Tuk Tuks are available everywhere with fairs from 80-140 baht. There are also different Songtaews (pick up trucks with bench seats in the back) they drive fixed routes which you can hop on and hop off. Red Songtaews: The drive around without any fixed route. Just stop one – When you see a red Songtaew approaching you flag it down and ask for your destination. If the driver doesn’t go to this destination take the next one. Orange Songtaews: Travel to Fang in the north. Depart from Chang Phuak Bus Terminal. White Songtaews: Travel to the eastern suburbs, to San Kampaeng. Depart from Chang Phuak Bus Terminal. Yellow Songtaews: Travel to northern route out of the city and to Maerim. Depart from Chang Phuak Bus Terminal. Blue Songtaews: Travel to Southern routes to Saraphi or Lamphun. Depart from Chang Phuak Bus Terminal. Green Songtaews: Travel to Mae Jo in the northeast. Depart from Chang Phuak Bus Terminal. The fare for the fixed routes is 20 Bath within Chiang Mai town. The price for longer distances need to be negotiated. But unless you know the routes it’s probably easier to take a Tuk Tuk. Bicycles and motorbikes can be rented from local agents. Self drive cars are also available as are cars with a driver and a guide. Chiang Mai can be visited year round. The best months are October to February when the weather is dry and at it’s coolest. October to December are the best months for trekking when the sky is clear, the mountains are green and there is less humidity. By March and April the humidity is much higher and the long sunny season has dried out the countryside and the farmers burn off their fields which can leave the air hazy. May to September is the rainy season with September statistically the wettest month. If you are coming in November you may like to plan your trip around the Loy Kratong festival which is held on the November full moon. On this night in Chiang Mai all Thai’s will descend on the Mae Ping river to float small offerings down the river on banana leaf boats. In doing so they pay respect to the goddess of the water and float away all their troubles from the past year. The celebration is a real spectacle. For a short stay of a few days to Chiang Mai it makes sense to stay in the central area close to the night bazaar. 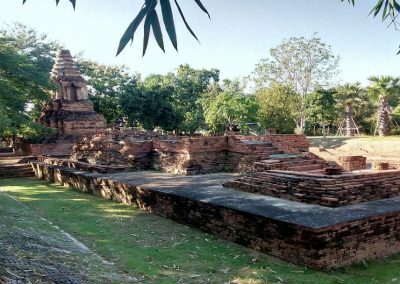 From this area you can easily walk to the old walled city with its temples and old teak buildings. You are also in the best place for restaurants, bars and shopping. Most daytrip attractions are less than one hours drive from this area. There is the full range of accommodation available in this area from 250 baht per night backpacker rooms, middle class such as Wangburapa Grand Hotel a Good value for money hotel, up to luxurious 5 star hotels such as the D2 Dusit and Le Meridien. As well as the hotel chains such as Centara there are also some very attractive boutique hotels such as the Bodhi Serene, a real oasis in the city or the trendy De Naga. Another popular area to stay just outside of town is the university area. It’s popular with travelers staying for extended periods or with ex pat residents as well as students and the young arty crowd. It’s a good area to find trendy bars and restaurants and live music venues. A hotel here is about 5 minutes drive from the central night bazaar and most hotels offer a free shuttle service. There are numerous small boutique hotels scattered around the surrounding countryside. Many are designed in the traditional Lanna style of north Thailand and may suit those wishing to really get away from it all and be pampered in the process. An example of this is the Ayatana resort which sits in an ancient temple forest where guests can meditate morning and evening. Chiang Mai has a multitude of options to suit the most active or the laziest traveler. Trekking in the surrounding mountains is popular. As a general rule, the longer your trip, the further you will get away from the real world and the more authentic your hill tribe experience will be. Those with limited time or with no desire to spend a night in the jungle with mosquitoes and no toilet may prefer a more condensed daytrip. There are so many options to choose from. You can trek to a waterfall, visit hill tribe villages, float down a river on a bamboo raft or ride an elephant. 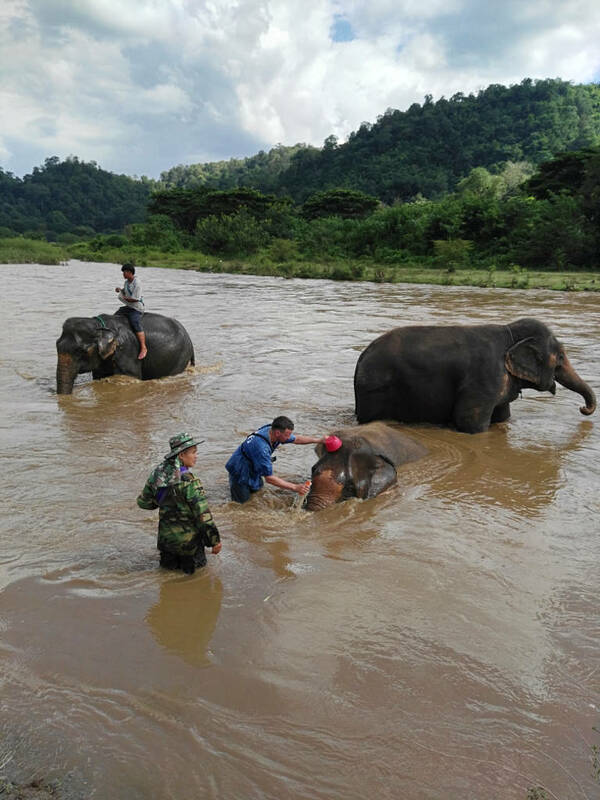 You can even learn how to ride and elephant and help to wash them in the river on a Mahout course. Adventure activities such as white water rafting, mountain biking and rock climbing are all excellent in Chiang Mai province. There are trips to suit all levels of experience. Contact is for details and for the best times of year. You can also do Motocross, ride an ATV or fly though the jungle like a Gibbon on the very highly rated canopy ride Flight of The Gibbon. The less energetic can choose to cruise down the Mae Ping River, get beautified at a luxury spa or just enjoy a foot massage at one of the street side stalls. A stroll around the old town is a must to take in the tranquil atmosphere around the temples. Using the services of a guide is really worth it in Chiang Mai. A TAT licensed guide can bring the history and culture of the area to life. Guides are available who speak most languages. A short ride up the Doi Suthep mountain to the Doi Suthep temple is also worth while for the views across the city. Evenings can be spent strolling along the night bazaar and walking street weekend markets (plan your trip to include a Sunday to go to the best market) or relaxing in the Riverside bar and restaurant, an institution in Chiang Mai, where both locals and foreigners mix to listen to live music on the waterfront. 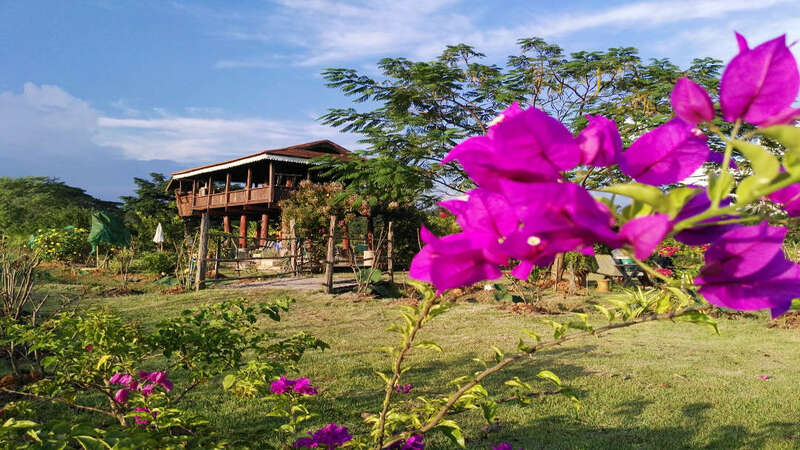 If you have three or four days to spare you can do a very nice tour of the north of Thailand visiting the Burmese and Lao border areas (Golden Triangle) and cruising down the river to Chiang Rai. You can also use Chiang Mai as your gateway to Luang Prabang in Lao, Siam Reap in Cambodia or Mandalay in Myanmar (Burma). To have an Easy Holiday we believe it is important to say what we think is good and what we think is not so good about Chiang Mai. So this is what we think you should know. The Good: Chiang Mai offers a great addition to a Thailand beach holiday. It gives a glimpse of a different type of Thailand and it’s easy to meet local Thai’s, many of whom study at the local universities and enjoy chatting with tourists about their culture and history. The atmosphere is relaxed and prices are cheap. For example a fruit shake that costs 60 baht in Phuket costs 25 baht in Chiang Mai. You will not feel like everyone is after your money here, there are no tailor shops and even the Tuk-Tuk drivers are friendly. The countryside is beautiful and so is the old town. Most day trips are close by and much of the city can be explored on foot. This is a good place to do your souvenir shopping as it’s cheaper than else where in Thailand and there is a lot to choose from. It’s also the best place to look for Thai antiques, art and teak furniture although none of these are the bargains that they once were. The Bad: Chiang Mai is suffering from the same traffic congestion problems as many other cities. This should not affect tourists too much but be careful if you choose to hire a car or bike. Not all tours are created equal in Chiang Mai. Some short tours to hill tribe villages are less than authentic and some people may not enjoy seeing elephants perform tricks for tourists (all the elephant camps that we recommend treat the elephants very well and provide a necessary service to keep the elephants healthy and fed now that their traditional job of logging is no longer possible). Tourists visiting Chiang Mai for the kind of nightlife found in Thailand’s island resorts may be disappointed. Although there are a few beer bars in Chiang Mai this is not a party town, the atmosphere is more laid back. 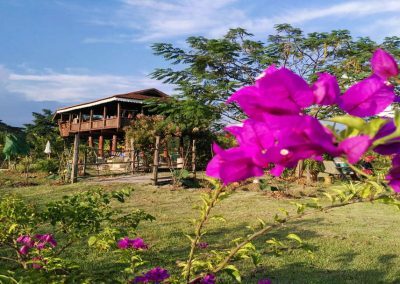 Equally backpackers wanting to disappear into the jungle to escape all other tourists may prefer to head further north to Chiang Rai province. For most people though, Chiang Mai may well be the highlight of your holiday and the place that you want to return to. Interested? Let us know… ! – Easy Day Thailand can book and organize your stay at all our recommended hotels and resorts, activities and more. Just click here to send us an email or use our 1-2-go contact form. More about Chaing Mai on >> TourismThailand.org.